At Harris Ranch, great taste doesn’t stop with our tender, juicy beef. 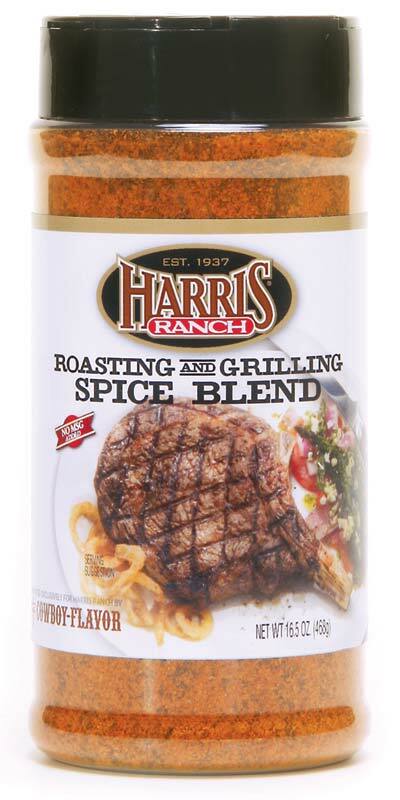 Our chefs continually develop delicious recipes for Harris Ranch Restaurant that feature superior quality Harris Ranch Beef enhanced by savory seasonings and sauces. Now you can turn home-cooked meals into mouth-watering family favorites with several of the same custom-blended spices and sauces used at our legendary restaurant. These products are available at retail store locations and can also be purchased online. This unique spice blend lets the flavors of our beef shine through. 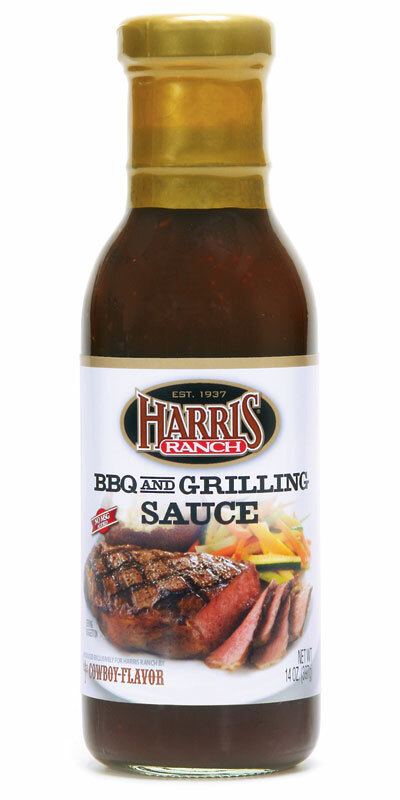 This all-purpose sauce has just the right blend to enhance the flavor of meats, and can be used for basting and dipping. 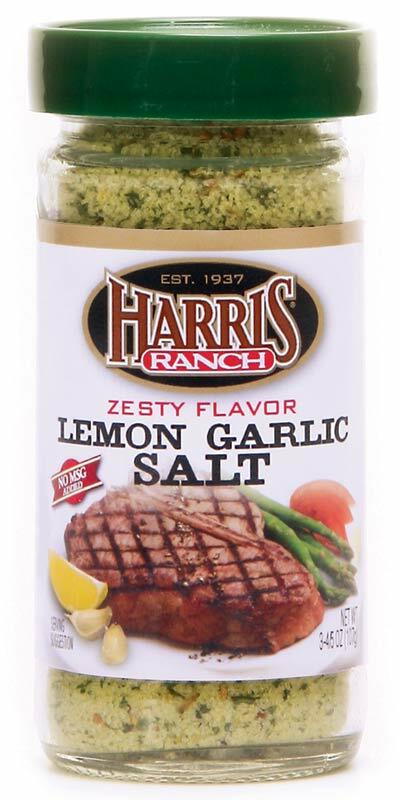 Developed by the Harris Ranch kitchen to enhance the taste of beef, this zesty seasoning will also add flavor to other meats. Packaged in clear glass jars with appetite-appeal foil labels. 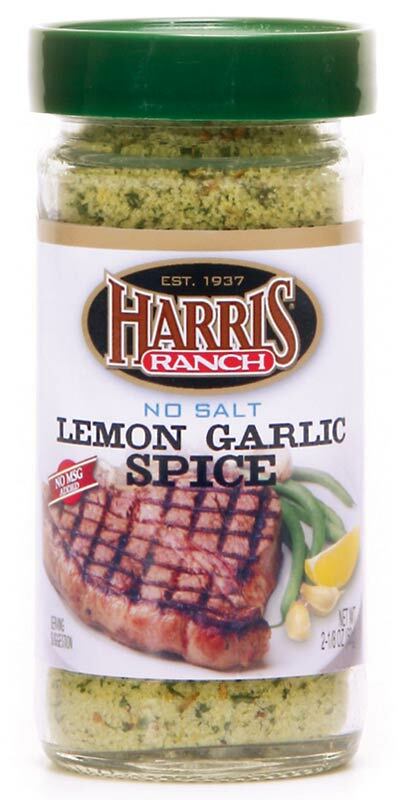 For those limiting their sodium intake, this seasoning offers a delicious option to flavor meat and vegetables. Made with real lemon and parsley. No MSG. 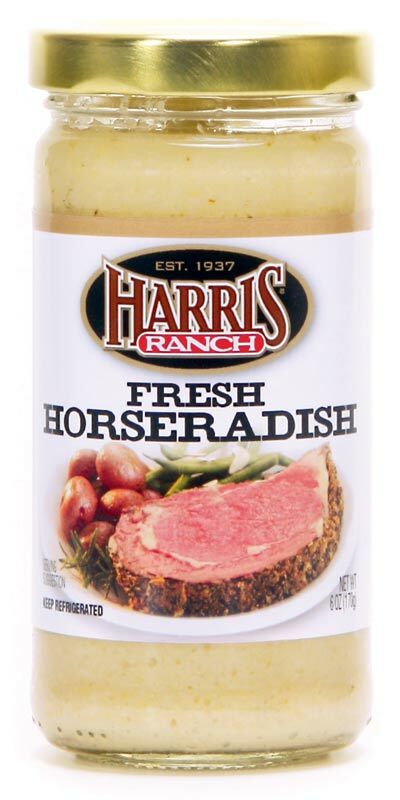 An original recipe, Harris Ranch horseradish is a perfect accompaniment to our tender beef.